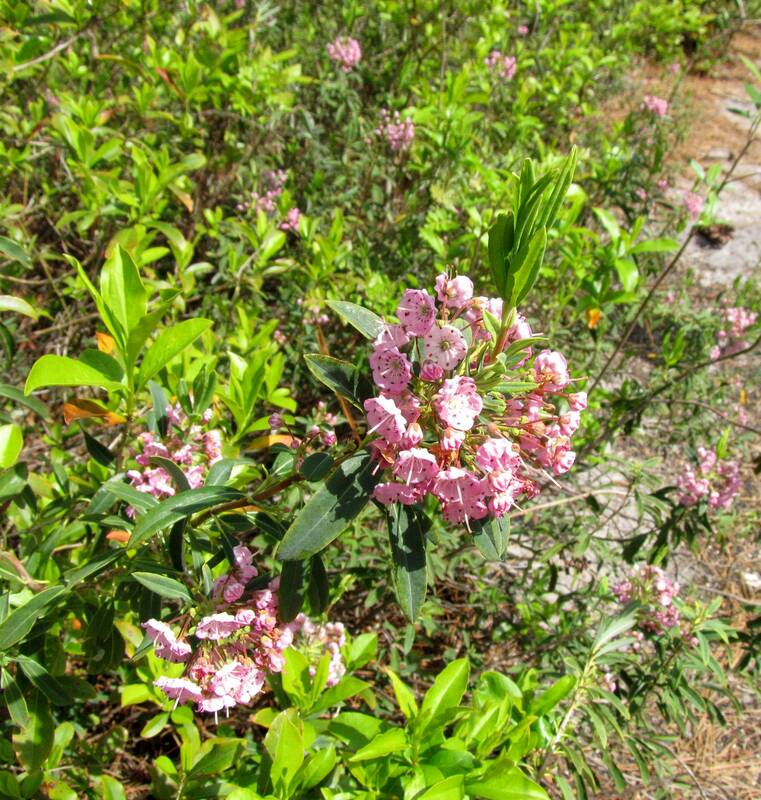 Moist to wet pinelands of the Coastal Plain, pocosin margins (or seemingly in pocosins or swamps because of fire suppression), mountain bogs and fens (and less commonly in rocky areas at high elevations) in the Mountains (Weakley 2015). Rare in NC mountains, common in the Coastal Plain. 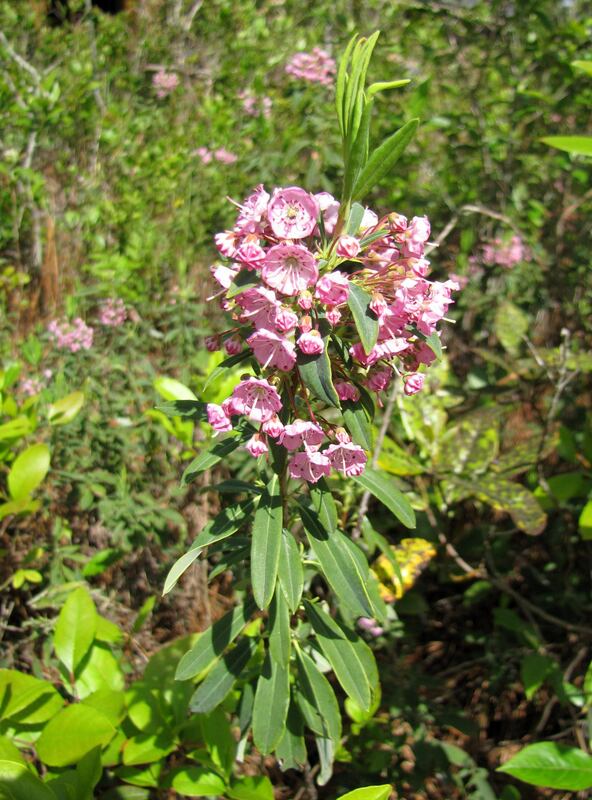 This species has been recently split from K. angustifolia, which reaches its southern limit in northeast NC. 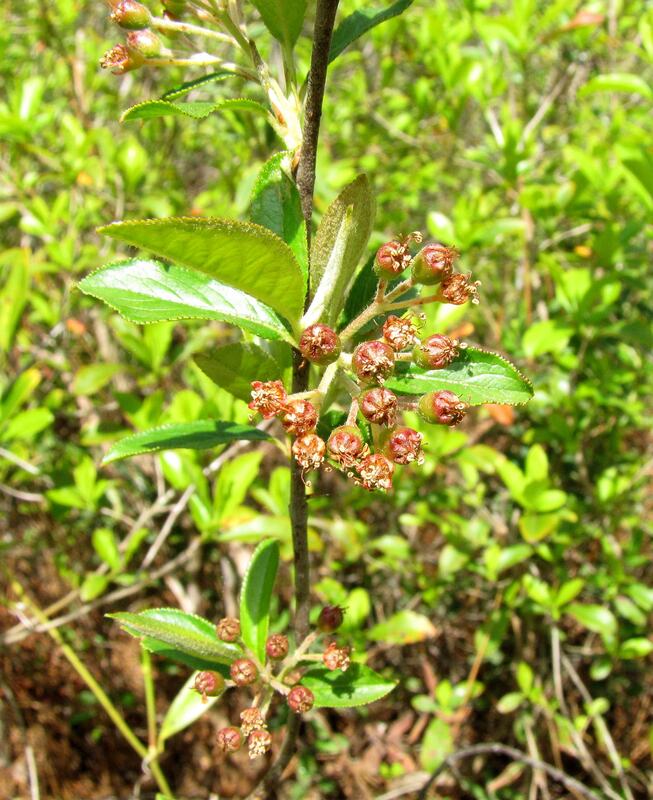 Carolina Laurel has a disjunct distribution, rare in the NC mountains and common in the se NC coastal plain. Stoloniferous in moist to wet pinelands of the Coastal Plain, pocosin margins, and mountain bogs and fens. Leaves in whorls of three or rarely opposite.